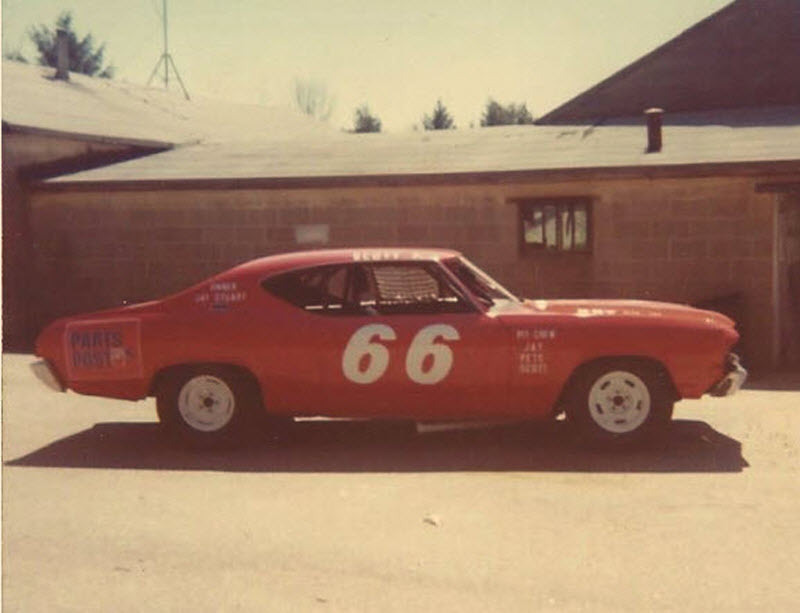 Scott Poirier, now the driver of the Blue Knight and owned by Judy, wife of 39 years, started his racing career in the #66 with Jay Stuart in 1978; later owning his own team in 1980. Scott is very grateful to all the owners that gave him rides throughout the years and helped him in his racing career. During the early 80s, Scott was a Waterford Speedbowl Tech Inspector for a couple of years in the Late Model division - increasing the number of winners from single digits to double digits during that time. Scott also raced in each of the past five decades winning a championship at Stafford Speedway in 1986, Rookie of the Year in the Late Model and SK Modified divisions at Waterford Speedbowl along with numerous wins at local Connecticut tracks. In the NASCAR Modified Tour division he competed as far north as New Hampshire Speedway, Loudon, NH and as far south as Nazareth Speedway, Lehigh Valley, Pennsylvania. In vintage racing he won the 2013 New England Antique Racers (NEAR) and 2014, 2015, 2016 Senior Tour Auto Racing (STAR) Championships. Scott feels very fortunate that vingtage racing has given him a chance to meet his racing heroes in person; after following their careers as a kid. In 1990 Scott appeared on the cover, and was profiled, in the February edition of Stock Car Racing Magazine. He took pride in maintaining his cars, as a student of Art Barry, which was recognized when he won “Outstanding Engineering and Fabrication” over 27 divisions at the Big E in Springfield, Massachusetts during Racearama. He remembers riding his bike for miles to visit the Spearpoint Auto Shop just to get to sweep the #21 garage floor of the Barry built Spearpoint Modified race car. In the pits Scott was known as “Parts Store Poirier” always being prepared and willing to help his fellow racers, who also helped him in return. Scott now enjoys Vintage Modified racing with New England racers and Hot Rodding in his '34 Chevy Coupe and '55 Chevy traveling as far west as Michigan and from Canada to Coco Beach, Florida on the east coast; visit www.dreammachineclassics.org photo gallery to view shows attended. During these journeys he adds "side trips" to include his wife's love of family history research. By the Grace of God and 600 Horsepower!